From the Block to the Boardroom LLC. 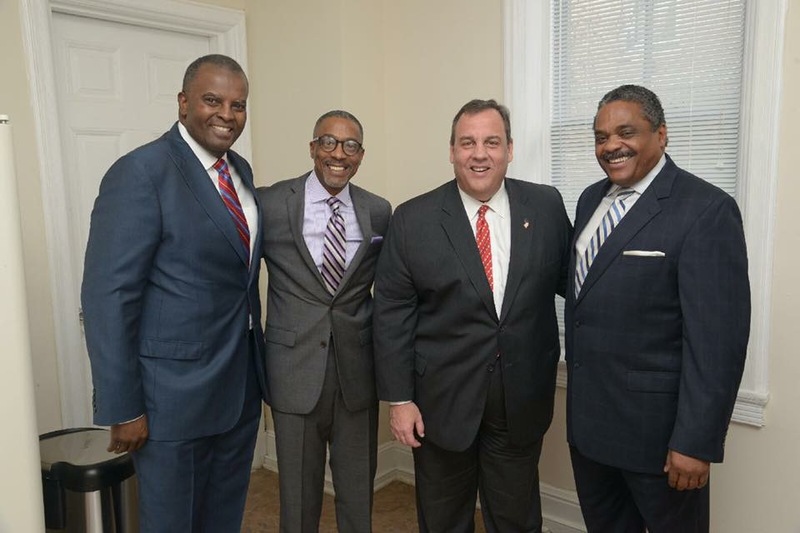 TRENTON, N.J., Dec. 26, 2017 /PRNewswire/ -- Dec. 22, 2017, in Trenton, New Jersey, the Honorable Chris Christie has pardoned Author, Entrepreneur & Community Activist Tracey D. Syphax, a 2014 President Obama "White House Champion of Change" Honoree and author of the award-winning memoir, "From the Block to the Boardroom," for a 27-year-old conviction for possession and possession with intent to distribute. The road to a pardon by the Governor began with an application submitted in December 2015. The application was followed by an online petition that began in January 2016, through Move On.org and had garnered more than 3,000 signatures before being delivered to the Governor's office last year. "I'm submitting a pardon of my 27-year-old conviction for possession with intent to distribute. I've done my time, paid my fines and have been charge free for over two decades! 'It's Time,'" said Syphax at the time. Finally, an executive pardon application hearing date took place two weeks ago prior to the date of the pardon today. Syphax premiered nationwide in 2016 the award-winning documentary "Incarcerating Us," which provides a historical context on the defining legal framework and structural impediments to criminal "justice" for a disproportionate number of black and brown citizens, leading to the massive increase in America's high incarceration rates, which began with the failed "War on Drugs." The screenings were followed by panel discussions with dialogue focusing on the current political environment, recent reforms, and the initiatives and viable options for further reforms to the systems, i.e. sentencing guidelines, mandatory minimums, and real reentry programs. Mr. Syphax has traveled the Country Lecturing at Colleges and Prisons on mass incarceration and criminal justice reforms. Tracey Syphax's autobiography, ''From the Block to the Boardroom,'' chronicles his circuitous journey from a drug-addicted drug dealer in the city of Trenton to become a multimillion-dollar entrepreneur with legitimate businesses and real estate. He recently became a program instructor while continuing his efforts to help others rise above difficult circumstances by mentoring and activism efforts. Syphax has spent his 22-year career in business as a strong advocate for criminal justice reform and reducing recidivism through education, employment and entrepreneurship. 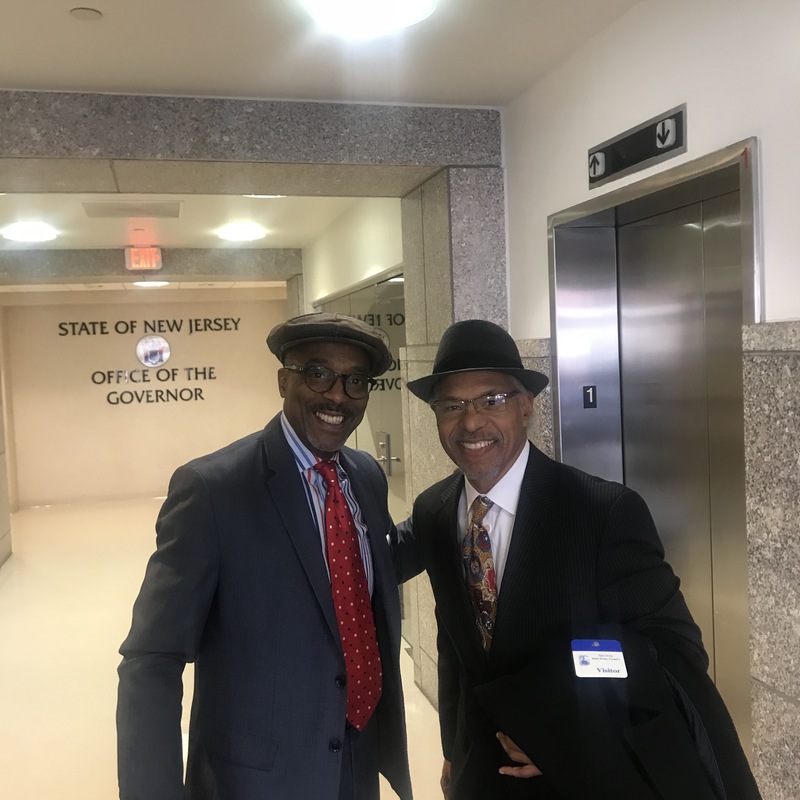 "In America, you have a right to free speech and a right to remain silent, in response to injustices and inequality the latter is not an option," said Syphax in 2016 when he was named "1 of the 25 Most Influential African Americans in New Jersey." Upon learning of the pardon, Syphax said, "It's been said 'the arc of the moral universe is long, but it bends towards justice'; well, it's been bending for a long 25 years since I came home and decided to change my life but with persistence, patience and a belief that this fight was never solely about me but more about Returning Citizens looking for a second chance." In New Jersey, the legislature has created a Parole Board that has the authority to accept, investigate, and make recommendations regarding parole applications. The Parole Board sees the application before the Governor, who then determines whether or not a pardon or other action will be made. Generally, every state within the United States has rules regarding clemency. Clemency is the broad category of rights that a governor or president has to lessen a sentence that has already been imposed by a court of law. In New Jersey, the Governor has the right to grant a pardon or commutation of sentence for any crime but impeachment and treason. Below are the categories of actions the governor has the right to take. Pardon – A pardon is a complete forgiveness and restores full rights of citizenship. Normally, those who have been convicted of a crime forfeit certain rights, such as to serve in certain roles, and to hold public office or vote in an election. But a pardon restores those rights. Those pardoned can apply to be expunged, and be able to say that you were not convicted of a crime. For interviews and more information contact; 609-209-3285, ftb2tbllc@gmail.com. SOURCE From the Block to the Boardroom LLC.